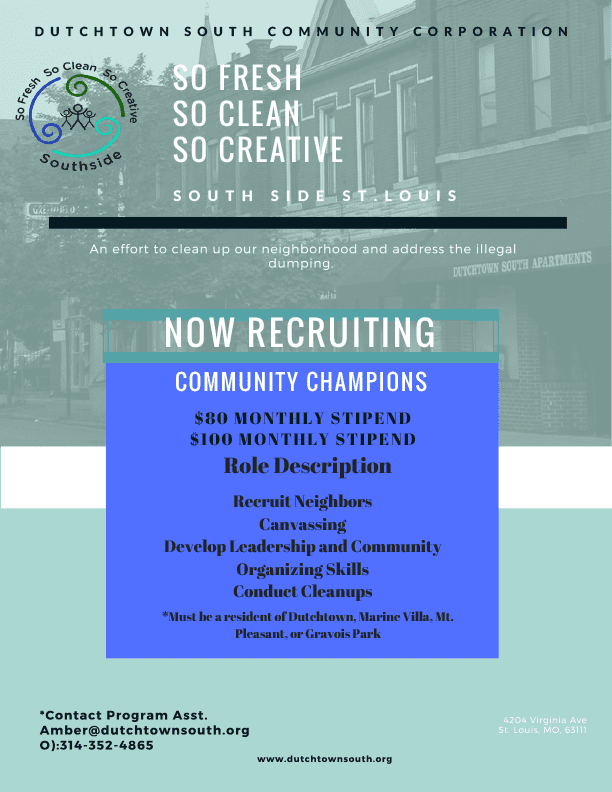 Dutchtown South Community Corporation‘s So Fresh, So Clean, So Creative South Side program is ramping back up for summer 2018! Right now they’re looking for both Junior and Senior Community Champions interested in developing leadership and community organizing skills. Champions will canvass and recruit neighbors for cleanups and trainings and help conduct the neighborhood cleanups and events. 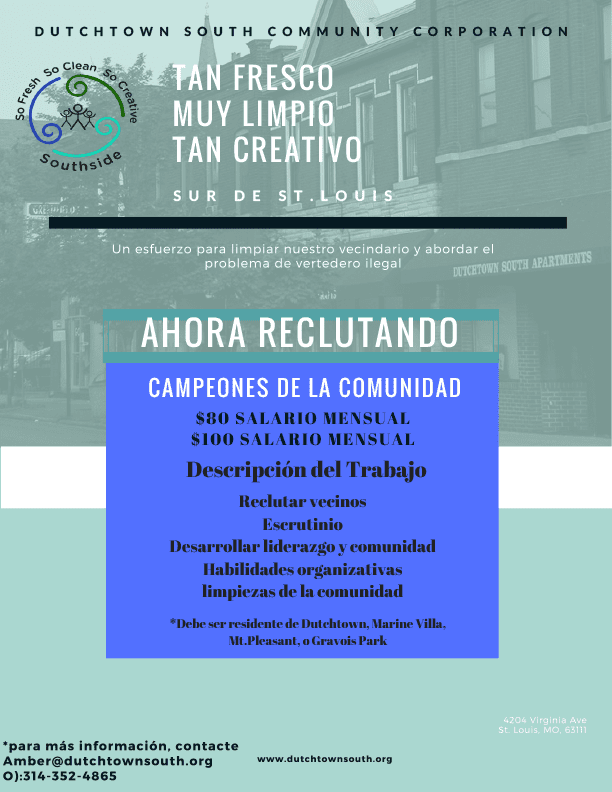 Community Champions must be residents of Dutchtown, Gravois Park, Mount Pleasant, or Marine Villa. A commitment of about ten hours per month is required from May to October. Champions will receive an $80–$100 monthly stipend. Complete a youth application or an adult application, or if you have additional questions contact Amber at DSCC at amber@dutchtownsouth.org or (314) 352-4865. Read more news about Cleanups, Dutchtown South Community Corporation, and So Fresh So Clean So Creative.